Cloudy. A stray shower or thunderstorm is possible. Low 53F. Winds SW at 10 to 20 mph..
Cloudy. A stray shower or thunderstorm is possible. Low 53F. Winds SW at 10 to 20 mph. Welcome to Election Day 2015 in Chicago! While attending Sunday's press opening at The Artistic Home theater space in Chicago for a frighteningly fantastic and riveting production of William Shakespeare's "MacBeth," I couldn't help but realize this tale of power struggles and back-stabbing often mirrors today's world of politics. It's not every office holder or would-be elected official engaging in such games of gain. But certainly, it applies to many. Running now with an extension until April 26 (no April 5 performance), Artistic Home ensemble member Scott Westerman has devised an imaginative staging of the story of witches, prophecy and the dastardly deeds of Lady MacBeth, a queen who controls her husband's ambitions at the cost of the destiny of all. The Artistic Home, at 1376 West Grand Ave. in Chicago, only holds 45 seats and it's one of the last of Chicago's true, really great "storefront theater" spaces. When I began writing about theater more than 20 years ago, storefront theater spaces abounded and thrived. Alas, 'tis not the case today. For this fast-moving and jarring production of "MacBeth," it runs two hours and 15 minutes, which includes the intermission. Starring as the title character is Artistic Home ensemble member John Mossman, who captured this tortured soul so completely, it was difficult for me to take my eyes off his every gesture and movement. With a piercing and determined stare, Mossman IS MacBeth with his targeted performance that entrances. As his other half, is the wonderful Maria Stephens as the cold, calculating, power-desiring and power-driven queen. With Frank Nall as Macduff and Will Casey as Duncan (and a few other assorted characters), this is a strong cast in every way. But some of my favorite moments came "in-threes," yes, a reference to the stellar performances of the slithering "weird sisters," those hag-bag witches that torment MacBeth. Skye Shrum, Jill Oliver and Brookelyn Hebert are "out of this world," and in fact, look and act like they really are from the netherworld. Also, one of my stand-out acting favorites, Julian Hester, gives a performance like no other for his three roles, which he easily slides in and out of. Also of ovation achievement is the young, fresh face and talent of actor Derek Herman, who can balance the characterization requirements of playing royal blood son Donalbain to morphing into a common-thug murderer with seamless ease. 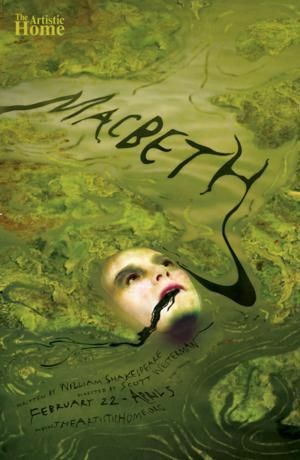 The "MacBeth"is also a chance to celebrate the scenic surrounding elements as brought to life with a many layered set of surprises, including bubbling green pools, towers and all the needed trappings as created by wizard of scenic and lighting design Jake Bray. Some very well done "floating" graphics also appear thanks to designer Jen Dorman. And the clap of thunder and other bumps of the night are captured and capitalized on in a big way by sound designers John Corkill and Alex Monroe. The opinions expressed are solely those of the writer. He can be reached at philip.potempa@nwi.com or (219) 852-4327. Actor Abe Vigoda is 94. Actor Steven Hill ("Law and Order") is 93. Actor Dominic Chianese ("The Sopranos") is 84. Movie composer Michel Legrand is 83. Convicted former Illinois Gov. George Ryan is 81. Actor Barry Bostwick is 70. Singer-producer Rupert Holmes and actor Edward James Olmos are 68. Musician George Thorogood is 65. Actresses Debra Jo Rupp ("That '70s Show") and Helen Shaver ("The Color of Money") are 64. News correspondent Paula Zahn is 59. Country singer Sammy Kershaw and actor Mark Moses ("Desperate Housewives") and producer Todd Fisher (son of Debbie Reynolds and Eddie Fisher) are 57. Singer Michelle Shocked is 53. Actor Billy Zane is 49. Actress Bonnie Somerville ("NYPD Blue") is 41. R&B singer Brandon Brown of Mista and drummer Matt McGinley of Gym Class Heroes are 32. Actor Wilson Bethel ("Hart of Dixie") is 31. Actor Alexander Koch ("Under the Dome") is 27.